Tradition tells us that it is important that children be an integral part of the Passover Seder-- asking questions, singing songs, retelling the events of the past and gaining an understanding of “Why this night is different?” Yet, too often, adults remember a different kind of seder-- watching the clock until it was time to eat, wishing they could go home, tired of hearing the same story, year after year. So, how do we make the seder more engaging, inspiring, memorable, and awesome for the Seder participants of every age? As Moses approached the burning bush, he was told to remove his shoes because he stood upon holy ground. Take off your shoes as you retell the part of the Passover story! You can sing or play a recording of Craig Taubman’s Holy Ground that describes the scene and make it even more dramatic with a prop like this. 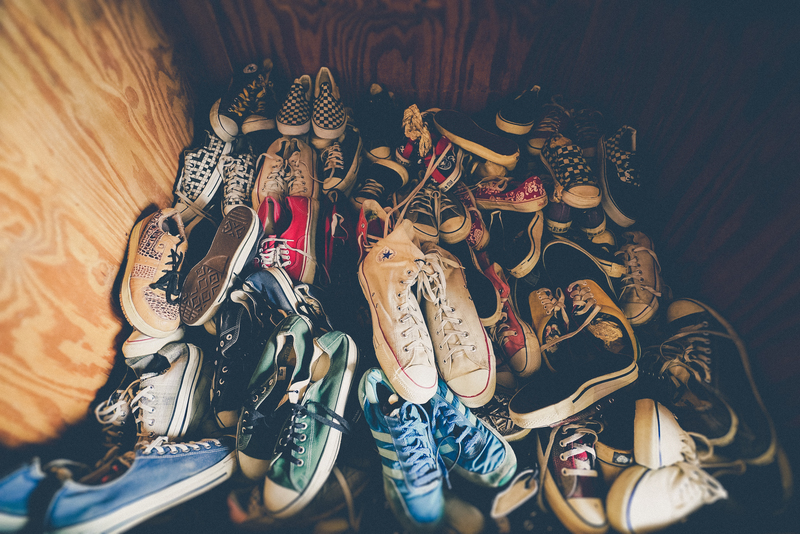 Ask your participants to remove their shoes and consider if your space is holy- why or why not? One way to get kids involved in a meal is to invite them to play with their food! 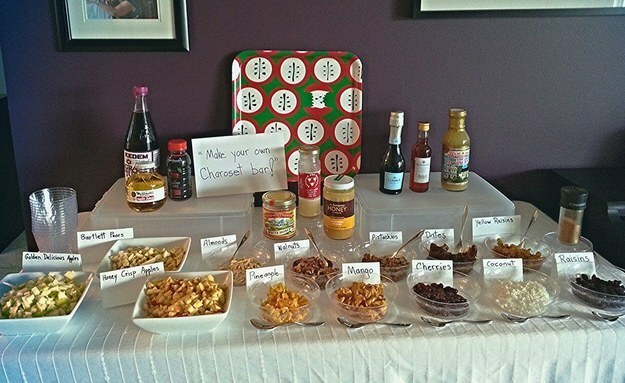 Allow each participant to customize charoset to their own tastes. More details: Charoset Bar. We all share a Haggadah at the Seder- but don't be afraid to mix it up with the sharing of picture books, as well. 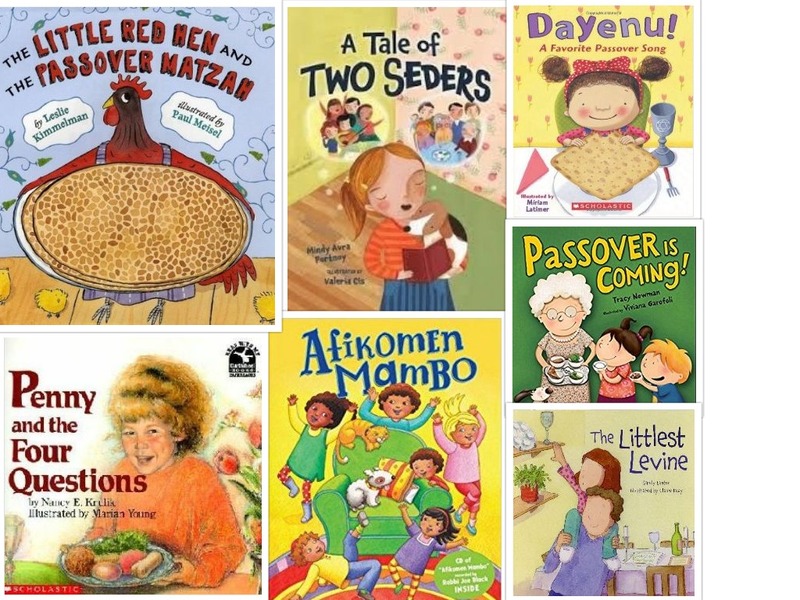 Children love sharing stories- so make a read-aloud a part of your Seder. Bring a book to the table or leave a book at each person's place setting. There are LOTS of fantastic options. You might already have a few, perhaps from PJ Library (free books for kids, sign up ASAP if you haven't yet done so) here are a few they suggest. As guests arrive or as your students prepare, use gaming as a way of getting them excited about holiday. Check out the Breakout Box Puzzles created by JTeach.org inspired by the popular Breakout.edu model. While you are preparing- be it cooking, cleaning, or lesson planning - enjoy this collections of Passover songs or play one or more Passover videos before, during or after the Seder.